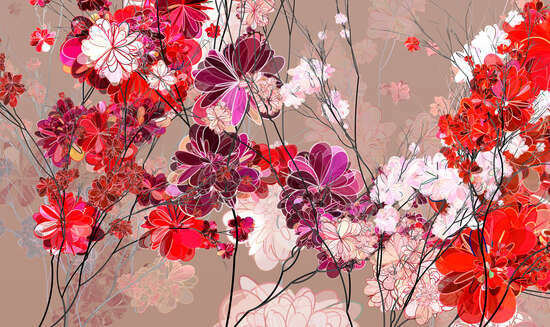 In Japanese culture, cherry blossoms embody beauty, awakening, and transience. 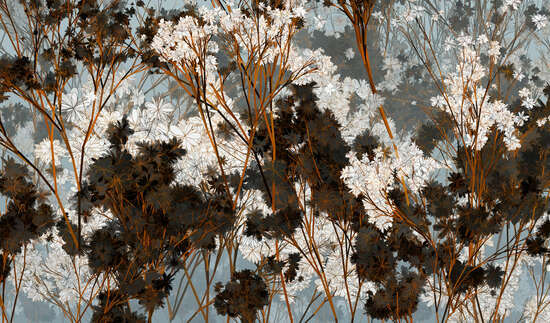 Their symbolic power is clearly expressed in Holger Lippmann’s digital work. 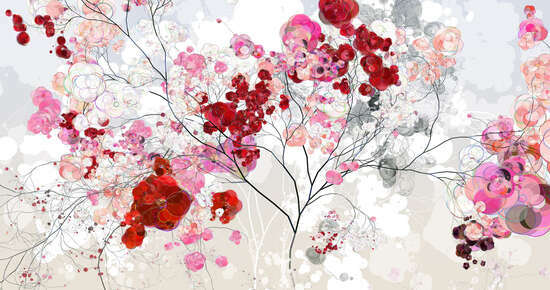 From soft pinks to deep reds, Lippmann creates a sea of cherry blossoms in a wave of colour, celebrating his own hanami through his images. 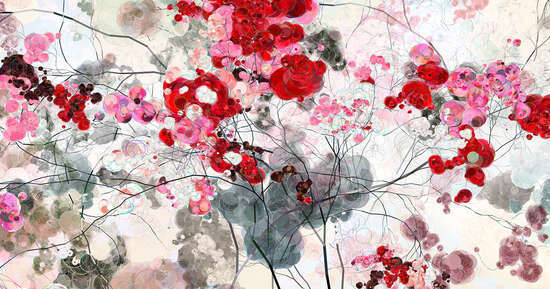 And like the hanami, the traditional Japanese cherry blossom festival, Lippmann’s work inspires joyful and melancholic emotions at the same time. 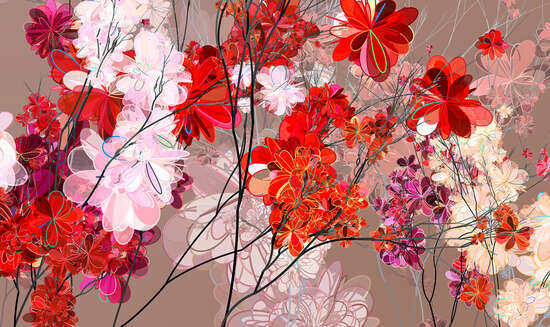 The digital artist stylistically and graphically reinterprets the cherry blossoms. A classically trained painter, he has traded his physical drawing implements for computer programs. 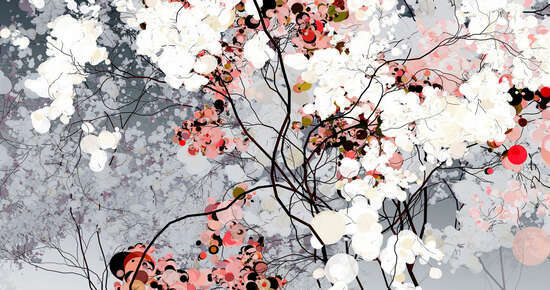 In his Recursive Trees series, Holger Lippmann uses digital means to capture the magic of blooming cherry blossom trees. 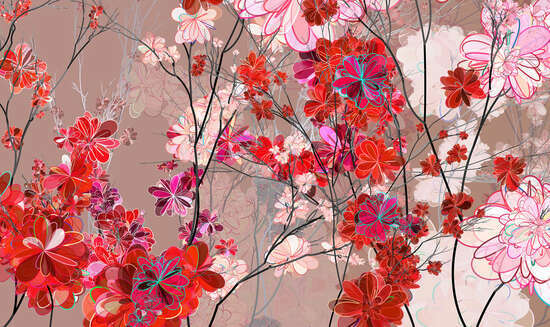 In contrast to Rose Cherry, the depicted blossoms feel more powerful than delicate and playful. The branches give the images structure and weight. 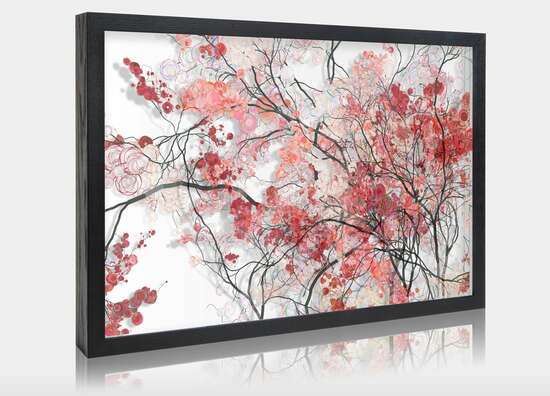 The extraordinary composition in Lippmann’s pieces quotes from traditional Japanese painting, impressively illustrating how captivating and emotional Japan can be during cherry blossom season. 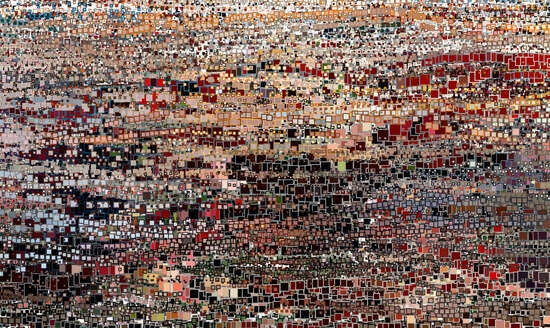 Humans allegedly began creating the first mosaics 400,000 years ago. 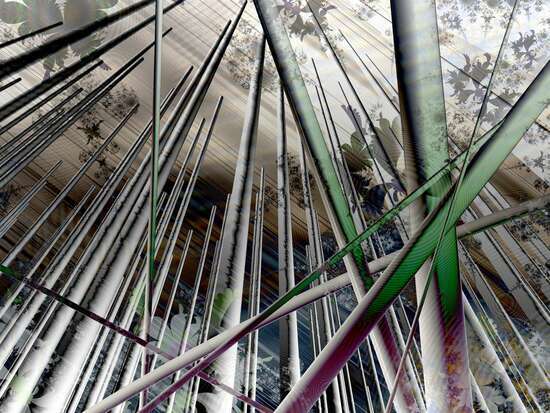 As one of the most advanced digital artists of our times, Holger Lippmann knows how to implement this ancient technique in a very special way. 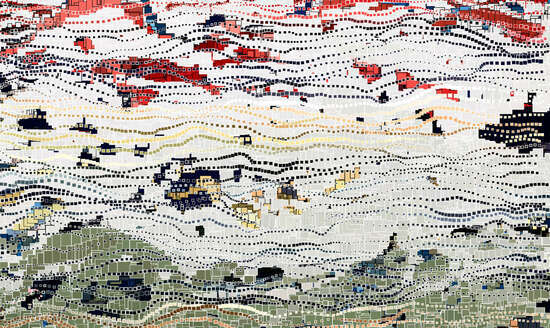 In his Language of Landscape series, he creates extremely modern masterpieces with inlaid landscapes in which the valleys, hills, and villages can only be recognised at a distance. It is clear that his creations originate on the computer. 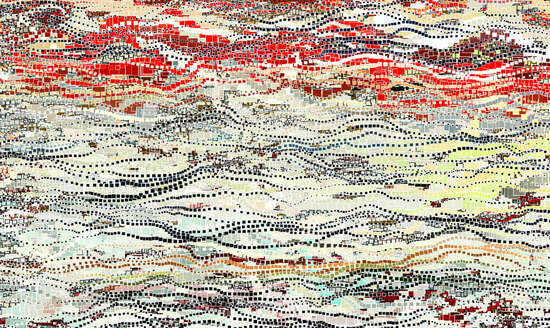 The angular building blocks that make up the image are reminiscent of pixels, colourful pieces arranged into patterns. 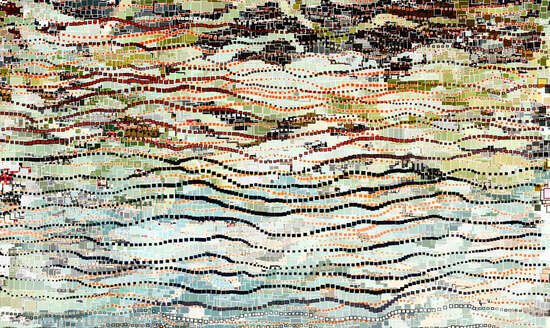 With their help, Lippmann creates aesthetic worlds that seem both abstract and full of life. Lippmann’s work falls somewhere in between artistic disassociation and realistic reproduction, between old values and modern perspectives. 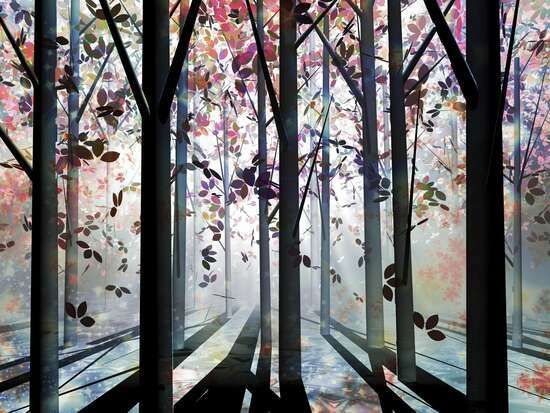 These woods give off a thrilling air of mystery. 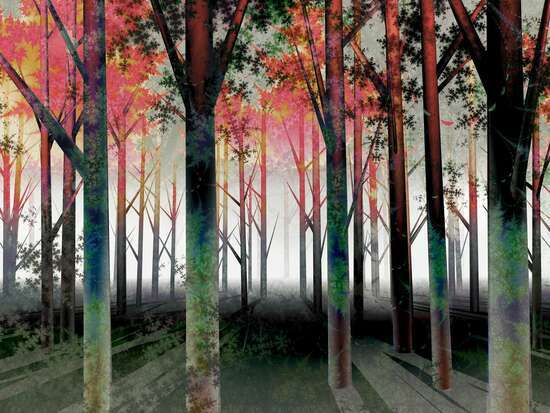 Although they are clearly recognisable for what they are, the trees have little in common with reality. They indicate a future perfection we cannot even imagine yet. 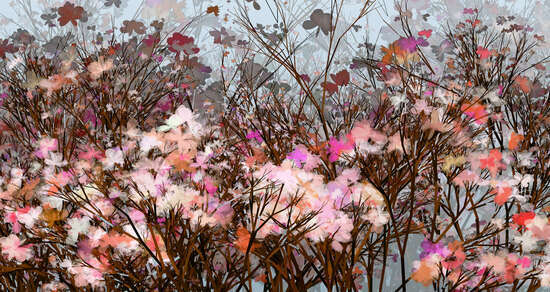 Holger Lippmann’s images in the La Forêt series settle somewhere between nature and virtual reality. 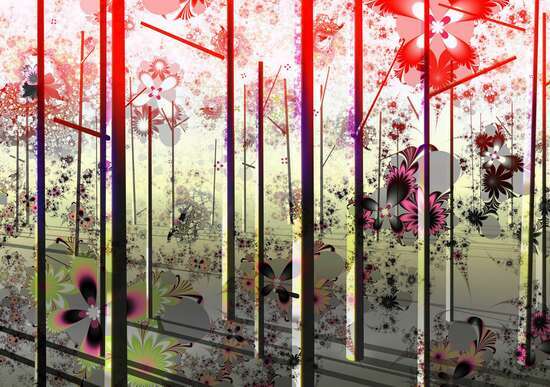 The futuristic tree trunks, the perplexing colours, the mystical light, the bold shadows, and the floral patterns come together in these extraordinary compositions. 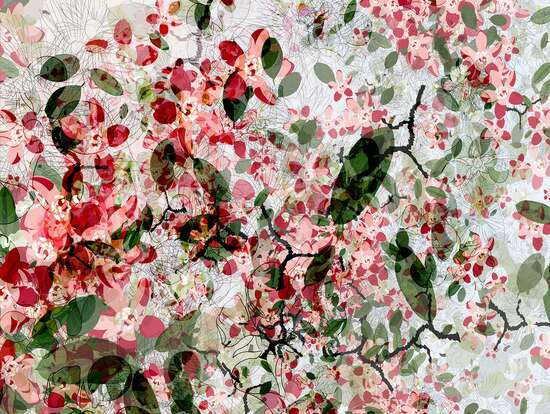 The series La Forêt evokes a whole range of emotions: fascination, curiosity, and also a slight fear of the unknown. The familiar seems strange while the foreign seems familiar. It appears nearly impossible to tear yourself away from this vision of another world. 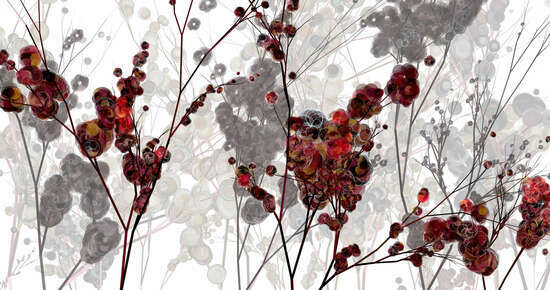 From a distance, the floral worlds in Holger Lippman’s Crimson and Scarlet series appear like a digitized natural spectacle. Upon closer inspection, the finer details become clear. 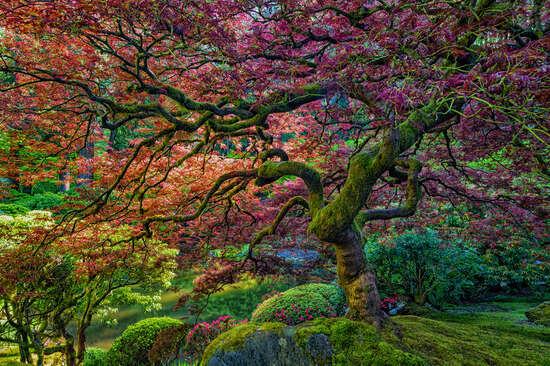 Curving branches flow through the entire artwork like life-giving veins. 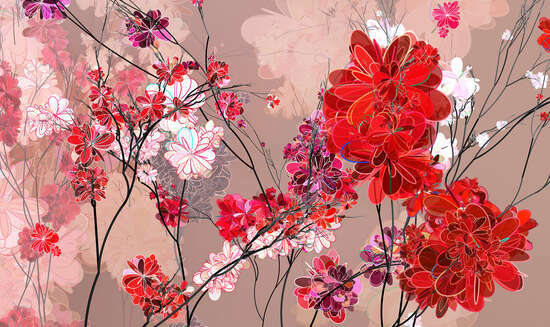 Between them, crimson and scarlet flowers blossom in front of a soft, mauve background. While the interplay between the colors is already captivating enough, there is another layer to discover in that Lippman has outlined every single petal with his virtual brush. 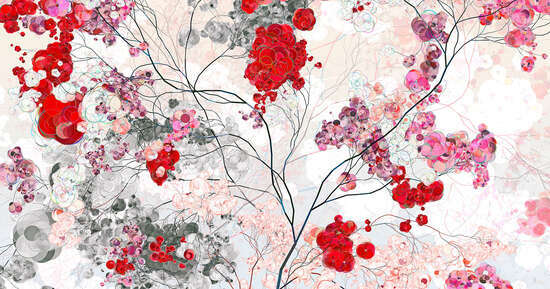 The blossoms in the foreground have contours in powerful white and red hues, in the middle there are individual petals with contrasting shades like sky blue, turquoise, and neon green. 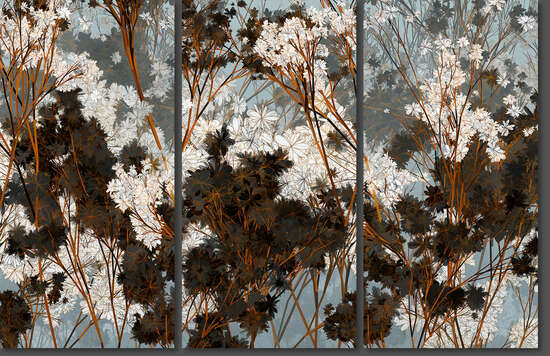 The artist lets the color accents in the background quietly fade away. 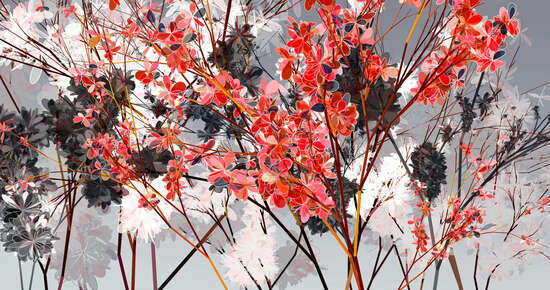 Extremely sought-after for his art, which he has dubbed “e-art”, Holger Lippmann has been featured in numerous exhibitions. Born in 1960, he studied painting and sculpting in Dresden and Stuttgart, before moving on to develop his own computer drawing software. Lippmann’s images range from representational subjects like flowers to geometric figures to superimposed matrix structures. 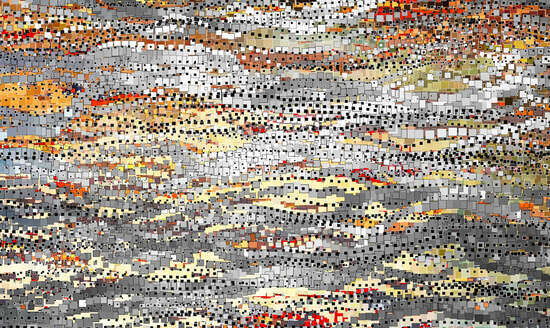 Although essentially abstract, Lippmann’s work is always connected to the concrete. 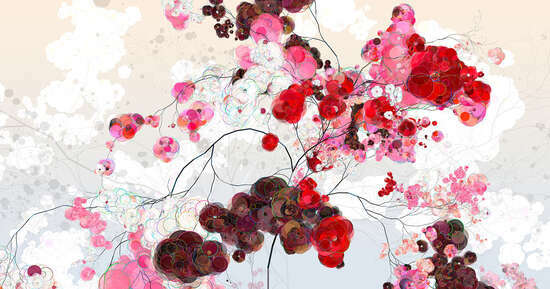 When trained painter Holger Lippmann picks up a brush, he feels as though something is missing: the abundance of possibilities he can almost instantaneously run through using his computer program. And if, among them, Lippmann does not find an idea worth developing, he can always simply go back to square one. This is a creative luxury of his own design. Like music, my work is born of improvisation.